What perfect way to celebrate a special occasion, party or even a corporate event with a summer BBQ in Portsmouth. Even Wedding Day’s can be made that extra special with a catered BBQ for your wedding guests. Of course, here at Baffin’s Farm Catering we understand the importance in the planning and the execution of the perfect BBQ. Who wants a burnt sausage? No one! So, when you book a summer BBQ in Portsmouth with Baffin’s Farm Catering you are in the safest of hands, our executive BBQ chef’s (Grill-Chief’s) will ensure that your BBQ is cooked to perfect, from the tastiest of sausages to delicious burgers, from man-sized steaks to delicately grilled fish. Whatever your option for a summer BBQ in Portsmouth, you can enjoy all the fun whilst we serve up the most delicious food ever. And if a Summer BBQ in Portsmouth is not your cup of tea, then why not try our mouth-watering summer buffets in Portsmouth or even both! Another perfect solution is our catering for summer buffets in Portsmouth, this is either a great standalone catering solution or can be coupled with our summer BBQ package. We will supply you with platters of delicious freshly prepared food for your and your guests to delve into. We offer an entire range of sandwiches and platters for the perfect Summer party, and you can either eat them inside or outside depending on the weather. Choose from trays of delicious sandwiches, succulent finger foods and indulgent deserts. Whatever your choice we can cater for the perfect summer buffet. You can see our summer BBQ and summer buffet selections on our Baffin’s Farm Catering menu page. 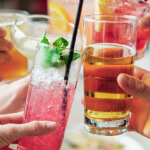 And should you not find the perfect BBQ or summer buffet menu, we are more than happy to oblige you with your own personal choices, tailor-made to suit you and your guests. Simply give us a call on 0782 515 6825. 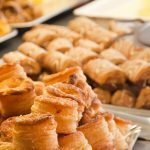 Alternatively you can fill out our contact form at https://baffins-farm-catering.co.uk/contact/ and we will pander to your desires. And of course our summer BBQs and summer buffets are not limited to Portsmouth, we also supply summer BBQs and summer buffets to all surrounding areas including Hampshire areas covering Havant, Hayling Island, Gosport, Emsworth, Bosham, Chichester, Lavant, Bognor Regis, Horndean, Petersfield, Liss, Liphook, Fareham, Titchfield, Hamble le Rice, Warsash, Swanwick, Swanmore, Whiteley, Hedgeend, Wickham, Denmead, Waterlooville, Hambledon, Alton, Selbourne and Bordon to name just a few and should you not see your area, contact us and we will be most happy to let you know if we can cater for your special occasion, party or corporate event. 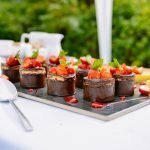 5 Reasons to Hire an Outside Catering Company for your Event. Book Your Summer Party Catering.